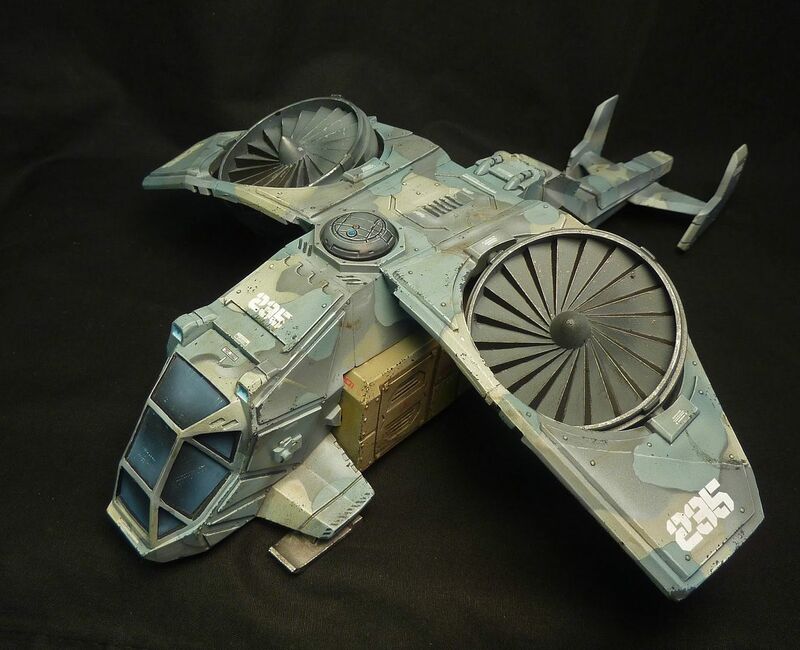 As the title suggests, I'm looking for a space/star shuttle type craft to use with my 28mm figures. Ideally something generic to be used for my Dr Who, Star Wars & Star Trek gaming. Also, seen a few examples from US based manufacturers, but the shipping cost is the killer, so UK or EU would be preferable. Happy for it to be mdf, plastic, resin, metal – essentially anything but paper. Have you seen the newly unlocked stretch goals for the Albedo Combat Patrol Kickstarter? 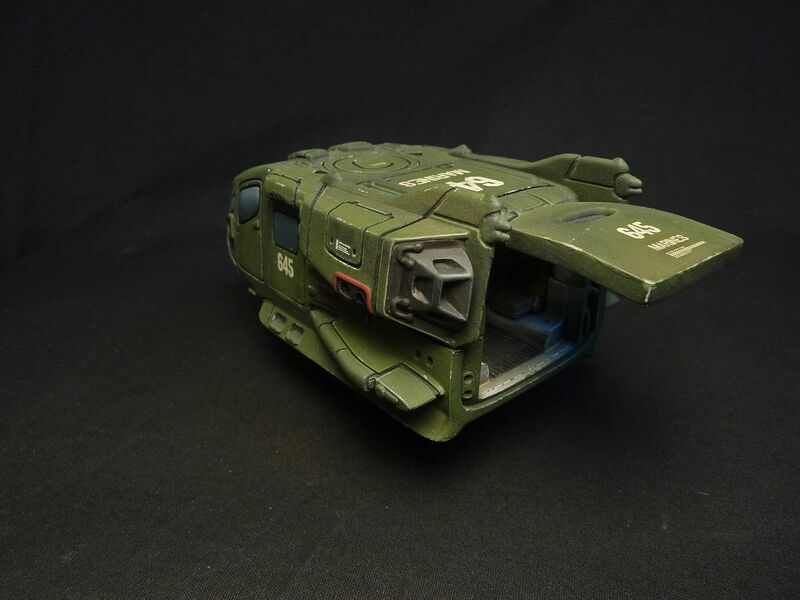 can be build with the weapons pods deployed, too. £25.00 GBP each, I picked up a couple for £20.00 GBP on ebay but I doubt I'll get another deal like that anytime soon. Thanks for all the responses. You have all given plenty to think about and potentially spend! From the USA but a lovely little model with a hollow interior which is ideal for scratch-building whatever interior layout meets your requirements. I do like that USHI from ClearHorizon and it would be ideal, but the cost is prohibitive – $76.99 USD total cost to get it to the UK. 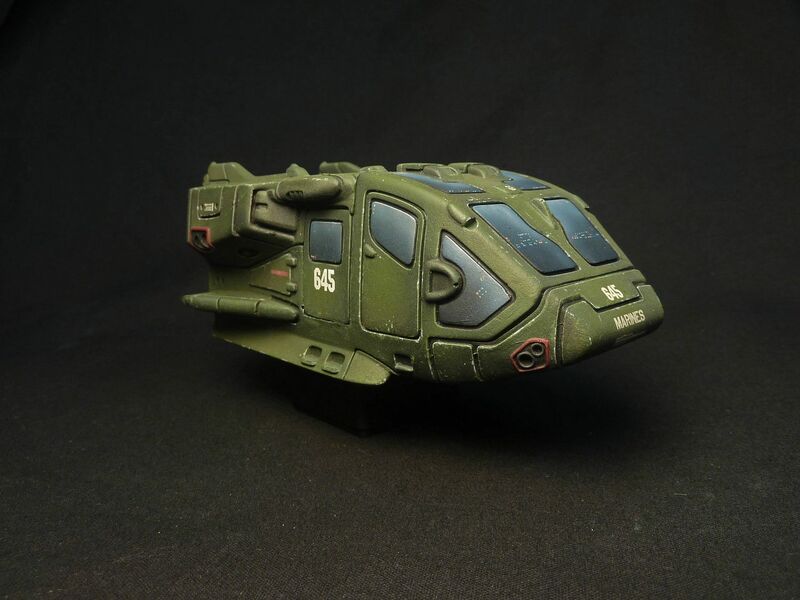 Thye Tau ship by GW is quite good , cheap and readily available – I use it for 15mm but is obviously designed for 28mm. Forgot about the Hornet £24.99 GBP. That 2nd Dynasty shuttle looks good. Too bad they don;t have it available for sale as a model – or for print through a service liek shapeways. It works well for 28mm since it's a beast of a kit (305mm long) and is comparable in size to the GW Valkyrie. A bit of work on the ccokpit canopy and it's as good as a dedicated 28mm shuttle. @joedog – I believe 2nd Dynasty sold/sells commercial licenses, so there might be someone near you who could print a shuttle for you. I backed their KS and would be happy to enquire for you if you were interested. @Canuckinator – I would appreciate that. My interest depends on affordability/pricing, of course. No problem joedog. I've fired off a note to Ben at 2nd Dynasty and I shall share my findings once he replies.